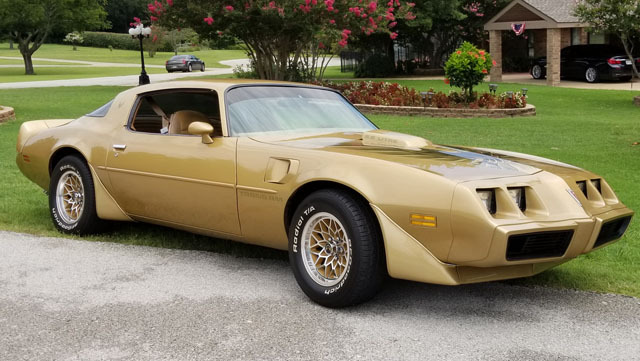 Beautiful 1979 Pontiac Trans Am. This car is Solar Gold and the paint is gorgeous with a deep clear coat and shine. The car has been restored and the motor and transmission have been rebuilt. PS PB TILT AUTOMATIC WORKING A/C with the 403 6.6 liter motor.The car has recently been performance tuned. Rebuilt carburetor, new plugs, wires, coil, cap and rotor. The rear end has been changed out to a 3:73 rear end and I have the stock 2:73 gears to go with the car as well. 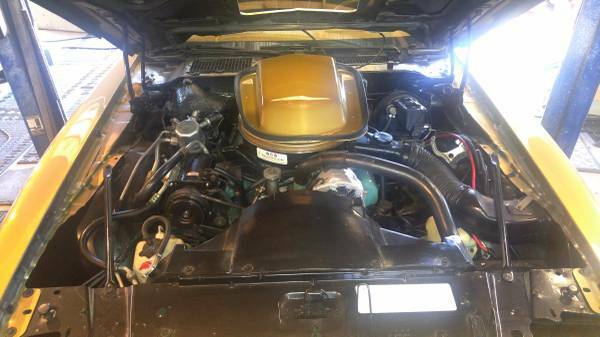 The car has a true dual exhaust system with headers and sounds as great as it runs.The car is very clean with no leaks and everything works . The car his an original WS6 car with 4 wheel disc brakes, bigger sway bar and 15?x8?wheels. The wheels are beautiful and look brand new and the tires are brand new with under 100 miles on them. I have a ton of documentation on this car and lots of receipts. The car has also been PHS documented and I have all the paperwork for that. The only thing this car could use is a little interior work. The interior looks very nice but If I were going to keep the car I would replace the standard velour seats with the houndstooth interior. Just my personal preference. I would give this car a 9 for paint only because it has a couple of very small dings and is not 100 percent flawless or I would have to give it a 10. The motor transmission and mechanical condition of the car is a solid 9 as well. 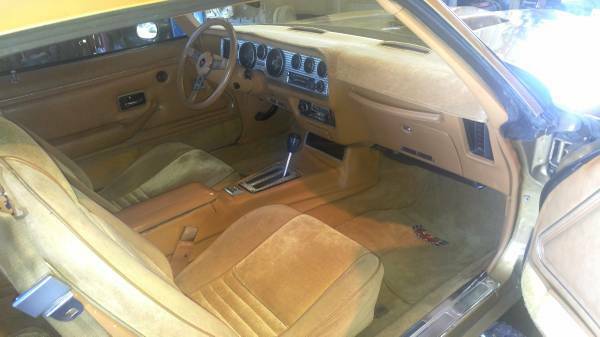 I would probably give the interior a 7 1/2 to an 8 only because the console has a small crack and the interior is slightly faded in color. No rips or tears and I am very critical when it comes to judging my cars. I have owned probably 10 of these cars and this one is definitely of the overall best Trans Ams I have ever owned. I have just bought a motorcycle and it is time to make some room and let this one go. I have lots of picture that I can send if you would like to see more I can email them. Please keep in mind I dont have to or need to sell this car for financial reasons so I would appreciate it if you only contact me with SERIOUS INQUIRIES ONLY AND NO LOW BALL OFFERS.